Makkah Gov. 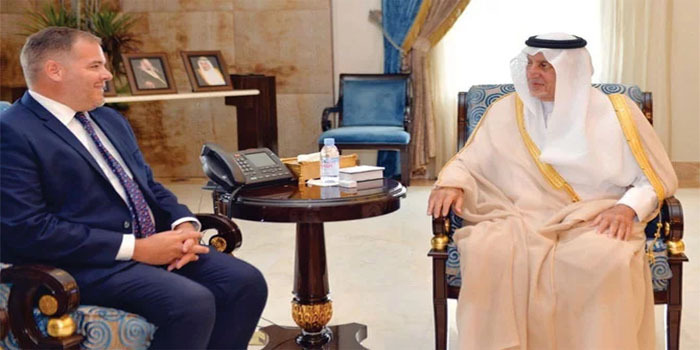 Prince Khaled Al-Faisal received British Consul General Barrie Peach in Jeddah on Thursday. During the meeting, they exchanged cordial talks and discussed issues of mutual interest.